Believe it or not, we received numerous calls and e-mails from people who had seen the advertising campaign, asking if they should feed their rabbits Innocent products. 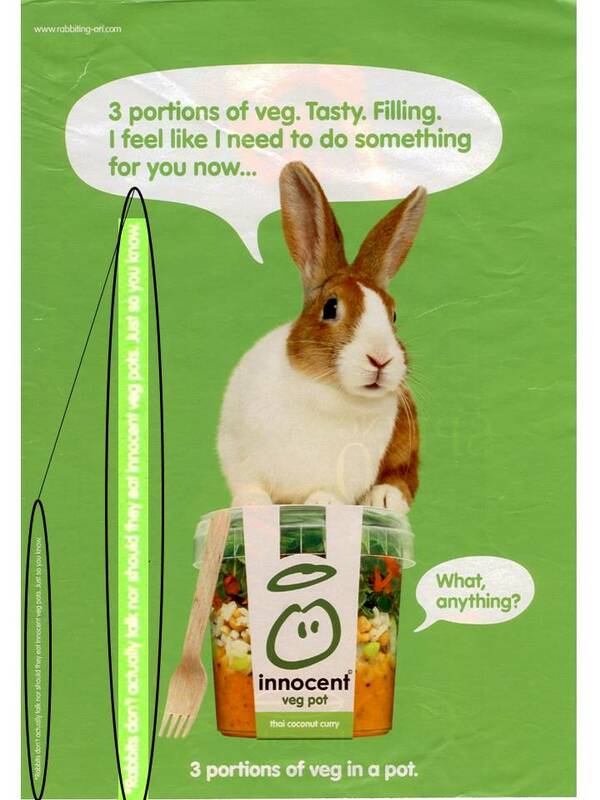 "Rabbits don't actually talk nor should they eat innocent veg pots. Just so you know". We are very grateful to Innocent for taking this responsible step.